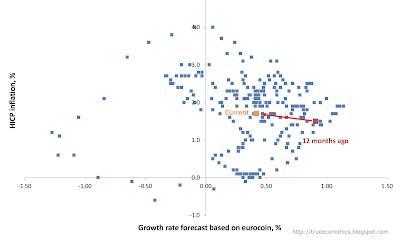 December 2018 reading for Eurocoin, a lead growth indicator for euro area posted a second consecutive monthly decline, falling from 0.47 in November to 0.42 in December. 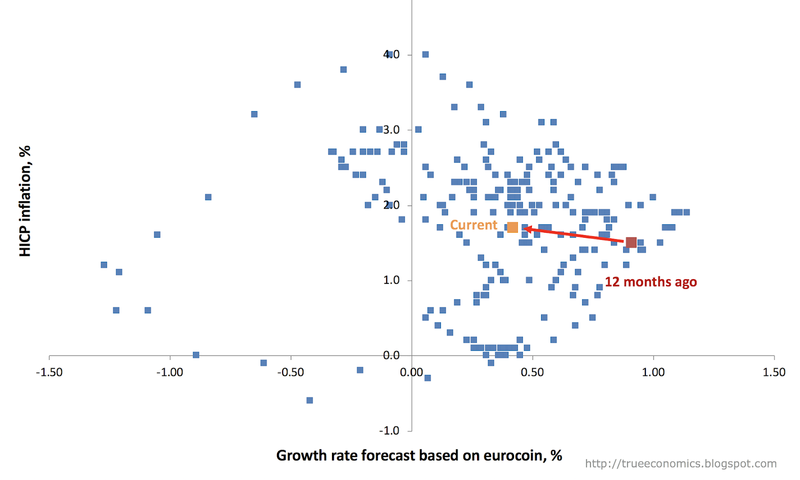 December reading now puts Eurocoin at its lowest levels since October 2016. 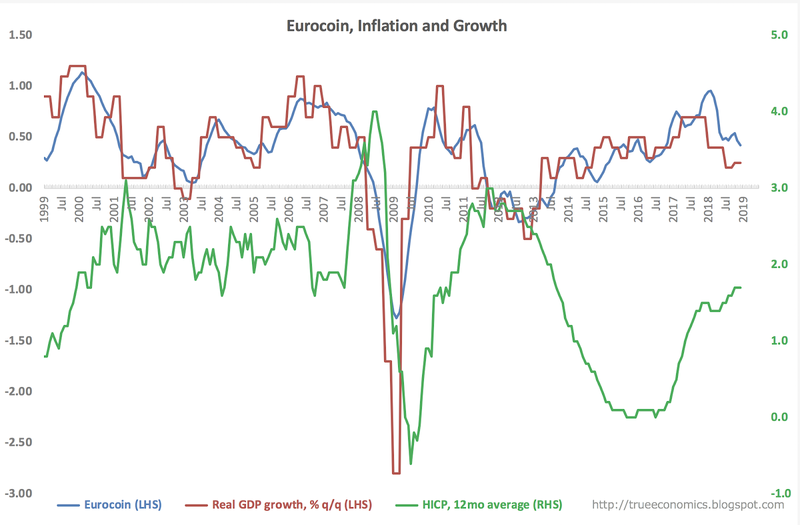 Per last chart above, the pick up in inflation, measured by the ECB’s target rate of HICP, from 1.4% at the end of 3Q 2017 to 1.7% in 3Q 2018 has been associated with decreasing growth momentum (Eurocoin falling from 0.67 q/q to 0.48, and growth falling from the recorded 0.7% q/q in 3Q 2017 to 0.2% q/q in 3Q 2018). 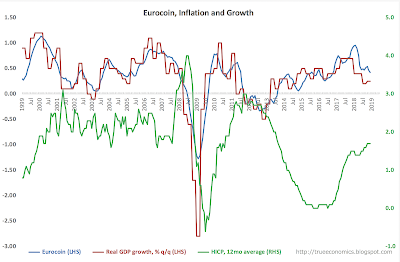 With this significant downward pressure on growth happening even before any material monetary tightening by the ECB, Which suggests that euro area growth problem is structural, rather than policy-induced. 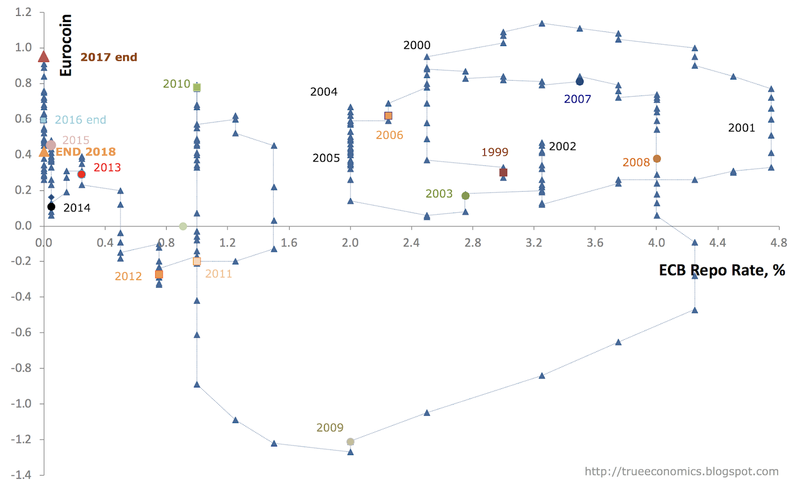 While QE did boost growth from the crisis period-lows, it failed to provide a sustainable momentum for significantly expanding potential growth. 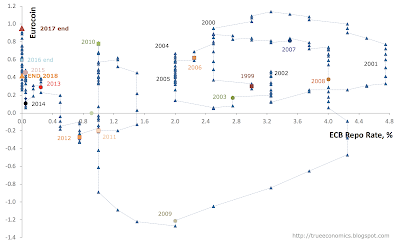 Thus, even a gradual slowdown in monetary easing has been associated with a combination of subdued, but accelerating inflation and falling growth.